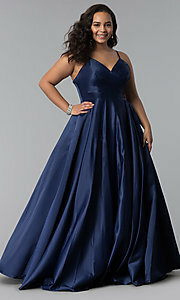 Sleek in satin, this plus-size prom dress exudes a posh and elegant style. Well-placed pleats emphasize the v-neck bodice while spaghetti straps adjust for a comfortable fit. 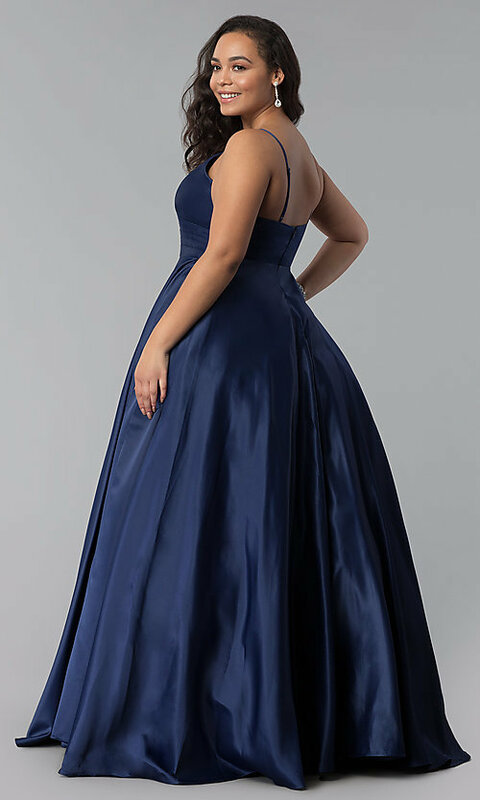 The full and fabulous a-line skirt on the formal evening dress has a volume-adding tulle lining that takes this beautiful satin dress to the level of a ball gown for sweet-sixteen parties and other special events. 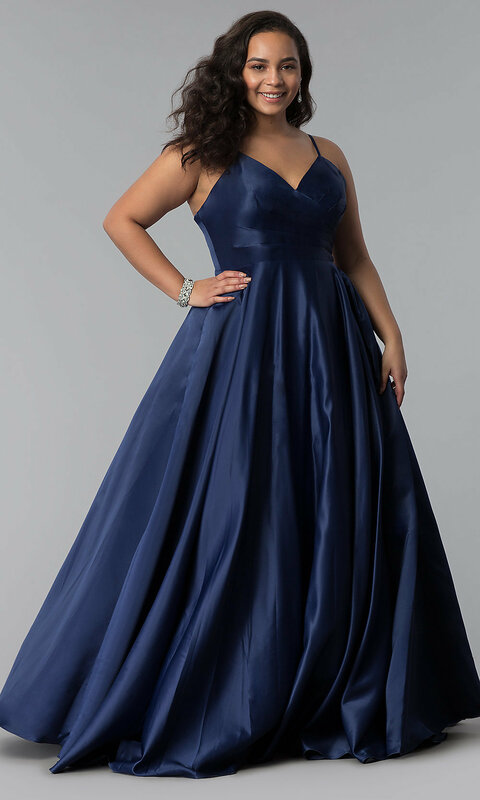 This gleaming satin plus-size prom dress under $200, is a budget-friendly find for thrifty minded fashion lovers. 65", Hollow to Hem 61"